The latest featurette for Gore Verbinski's western adventure "The Lone Ranger" concentrates on the practical effects and stuntwork that went into the making of the movie. It's nice to see that not everything is CGI and in one painful scene Johnny Depp actually falls off his horse. The film stars Armie Hammer, Johnny Depp, Tom Wilkinson, Ruth Wilson, Barry Pepper, Helen Bonham Carter, James Badge Dale and William Fichtner. 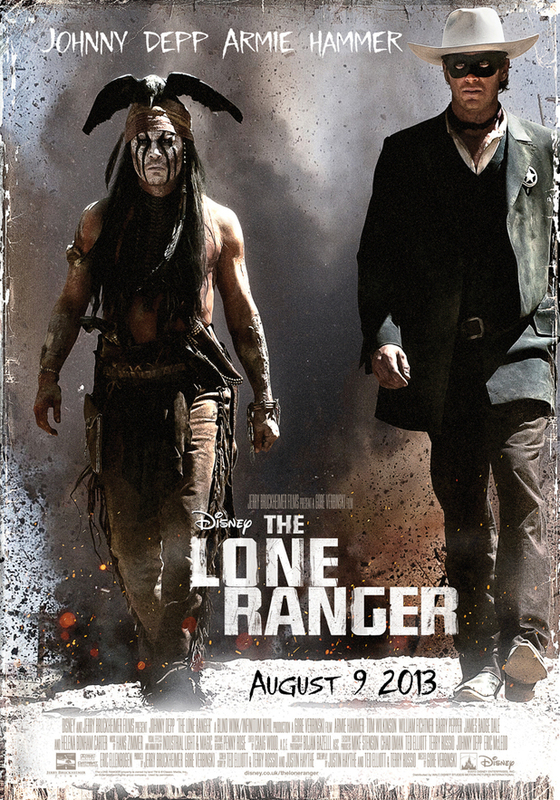 "The Lone Ranger" opens on July 3, 2013. Watch the featurette after the jump. "The Lone Ranger is a thrilling adventure infused with action and humor, in which the famed masked hero is brought to life through new eyes. Native American spirit warrior Tonto (Johnny Depp) recounts the untold tales that transformed John Reid (Armie Hammer), a man of the law, into a legend of justice—taking the audience on a runaway train of epic surprises and humorous friction as the two unlikely heroes must learn to work together and fight against greed and corruption. "